Your luck here at Mongoose Casino Mobile gets betters on every spin with our Cash Back Program. 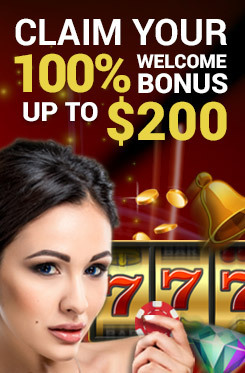 Mongoose Casino Mobile cash back program is a form of loyalty program where instead of the typically loyalty points, we’re offing you cash straight up. While you enjoy some of our top quality slot games on their mobile or tablet devices, we’ll simultaneously be rewarding you with a percentage cash back based on your activity. Cash back on all of your mobile spins – win or loose! At Mongoose Casino mobile, it’s not just about the regular deposit and no deposit bonuses and promotions, we want you to win sometime even if you win or loose on the games themselves. With the Mongoose Casino Cashback Loyalty Program you can earn your share of up to 20% Casino Cashback on all spins – That’s Cashback on all our great mobile slot games (excluding our Jackpots). The more you wager the bigger the portion you receive. Throughout your lifetime as a player, the Team at Mongoose Casino monitors your game-play and will adjust your Cashback rate accordingly, so if you’re a VIP mobile player, you’re eligible for a cask back of up to 25%. We give back a daily percentage of what the house makes all our players. Every Friday by 2:00pm GMT / 10:00pm EST, we pay you what you’ve earned from the previous week directly into your account as cash, no turnover required. You will also receive an email informing you of how much cash you have earned.